Children get a week off from school in February here called "Ski Week Break". Families take this week to travel to ski resorts and enjoy the mountains and fresh air. Skiiing is so much a part of people's lives that the schools here take children to the mountains instead of to school for a handful of days in the Winter months. Eliana, in year 1 (equivalent to Kindergarten) has 5 days scheduled where after she is dropped at school, she will board a bus and go to a local ski resort to take ski lessons instead of going to school those days. Because we aren't a big skiiing family (yet!) and Jonathan had to travel for work this week the children and I have been enjoying this week doing local outings, but still enjoying the Swiss mountain air. We have spent the majority of our afternoons at a local ski resort (La Faucille) where Eliana has had scheduled ski lessons. But, on Wednesday we spent the day in Gstaad visiting an igloo village. We took the GoldenPass panoramic train from Montreux to Saanenmöser. The Panoramic train has full glass windows and a partial glass ceiling which allows wonderful views of the mountains and swiss countryside. On the way back in the afternoon the children played on ipads and napped while I enjoyed the scenery. Once we arrived in Saanenmöser we walked about 5 minutes to the bottom of the ski lift ("gondolas"). When you get off the train head on the road in the direction of Zweisimmen. The ski lift will be on the opposite side of the road about a 5 minute walk away. I dropped a pin at the bottom of the station - it is here. 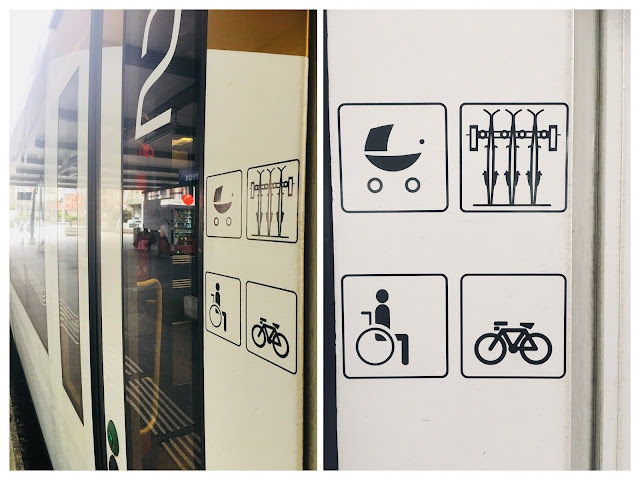 You can also search for "Bergbahnen Destination Gstaad AG" as the ski lift, or "gondolas", are located behind the building. 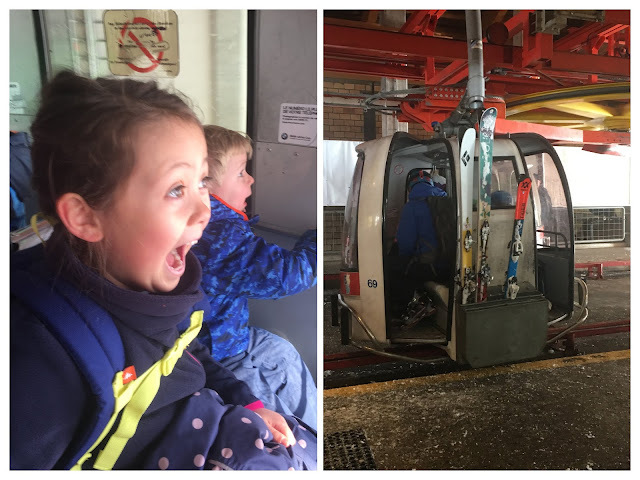 The children really enjoyed the gondola ride up the mountain. You take it all the way to the top (second stop). I purchased my ticket right at the base of the gondola station. With my half price card it was 22 Swiss Franc for a roundtrip ticket. Eliana (with her Junior Card) and Lucas (because he is under 6) were both free. Without the half price card the tickets are 44 Swiss Franc for adults and children over 6 will have a child rate. The gondolas are equipped with an area to hold skis and snowboards on the way up. Once you (first load your gear and then) climb into the the gondola, the door will automatically close you into the cabin. The children found the ride up and down very thrilling. I found it very beautiful. Once you have reached the top (second stop) and gotten off the gondola there is a flat area where you can get some great views of the mountains. From here you can see the igloo village back down one of the ski slopes just a bit. It isn't far, but this part can be a bit tricky to walk down as it is a little bit steep. At the top of the gondola lift, just after getting off. The Igloo village is behind us down the hill just a bit. The igloo is decorated with a theme every year. This year it had a Hawaiian theme. We then went back outside and sat in the sun, ordered a charcuterie tray, fondue and some warm drinks (Hot Chocolate for Lucas, Spiced Cider for Eliana and Spiced Syrup Drink (per the bartender's recommendation) for me). The outdoor area has an outdoor bar with fun music, lawn chairs to relax and soak up the sun, extra large pillows to lounge on and relax and picnic tables to eat at. All with beautiful mountains and Winter scenery as a backdrop. NOTE: Cash only at the igloo village! The kids loved these extra large outdoor pillows. They laid on them, pulled them to create patterns with them and crawled across them. It was a wonderful outing that I would recommend to anyone. Eliana was very intrigued by the idea of sleeping in an igloo. I think once children are older (maybe 10 or over) it would be a fun family overnight as well. For more photos and videos of our time at the Igloo Village Click here.